Approval for a new mosque in a town in rural Victoria has attracted fire from furious locals who fear radicalism. A small town in rural Victoria is grappling with a surge in anti-Islamic sentiment following the recent approval of its first mosque. Approval for the mosque was given at a local council meeting that was attended by hundreds of furious locals some who wanted to know what “security measures” would be put in place and fearing “terrorism” if the mosque was built. Bendigo is a town of 110,000 and has an Islamic community of around 200 people. A Facebook page opposing the mosque has attracted over 8000 likes. Since the planning approval, black balloons have begun appearing tied outside the houses and workplaces of the towns Muslim residents as well as non-Muslims who are perceived to be supporting the move. Local community leaders suspect that much of the hatred is being fuelled from outside the Bendigo community, with one anti-Islamic group known to have helped organize opposition to the mosque. The anti-Islamic group, called the “Q Society,” describes itself as “Australia’s leading Islam-critical movement.” It handed out pamphlets and is said to have “advised” local residents on how to oppose the mosque. The Q Society claims around 1,000 members and in the past has organized an event for a visiting anti-Islamic Dutch politician. While some local Muslims say they now fear for their safety, the issue has highlighted the broader anti-Islamic movement that is growing in Australia. This includes a movement called the “Australian Defence League” (ADL), which has modeled itself on the virulently nationalist British Defence League in the U.K. The ADL has advocated for the violent removal of Muslims from Australia and had a Facebook page with more than 12,000 followers before it was shut down. The ADL has been involved in protesting outside of Islamic schools and mosques in Sydney and has also urged followers to take and post photos online of Muslim women, often accompanied by violent threats. Two members of the Royal Australian Navy were dismissed earlier this year for online comments supporting the ADL. An anti-Islamic political party called the “Australian Liberty Alliance” was also recently formed with promises to take its call for the banning of Islam to the next elections. 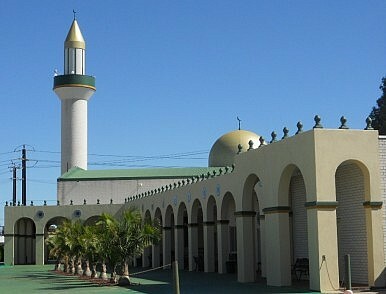 According to 2011 government statistics Muslims account for 2.2 percent of the Australian population. Some observers fear that that this new surge in anti-Islamic sentiment may lead to the sort of violence seen in the 2005 Cronulla race-riots. There are also concerns that Australia may follow the path of many European nations, where the popularity of far-right, often anti-Islamic parties was demonstrated at the recent elections for European parliament.